The 2016 OpenSimulator Community Conference, to be held in December, is now accepting proposals for presentations and activities. “We are particularly interested in speakers that can dramatically tell the story of their work and employ great props and graphics,” the organizers said in the announcement. This year’s conference is organized by AvaCon, Inc., a Boston-based non-profit that has worked on previous conferences in both OpenSim and Second Life, with help from OpenSim developers and other community leaders, Mal Burns of the Inworld Review. The University of California, Irvine is also a sponsor of the conference. 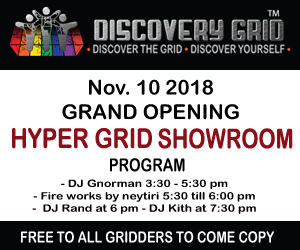 Hypergrid Business is a media sponsor and I am also helping organize the event. The organizers encouraged presentations that span current innovations and activities, performance artistry, educational simulations, innovative business cases or have a publication or track record of real world use. Potential speakers have until October 9 to submit their applications by filling out this online form. 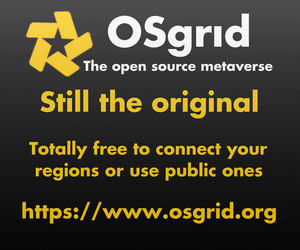 This year’s conference will take place over the weekend, on December 10 and 11, on the OpenSim Community Conference grid. The conference is also looking for volunteers to help with building, streaming, moderating sessions, and greeting attendees. If your grid is planning to hold a party or other event in conjunction with this conference, or if you or your organization would like to sponsor the conference, please contact the organizers here.